Yesterday I clocked about 1 hour of Beat Hazard. But, what is Beat Hazard? As Audiosurf, Beat Hazard is a game that uses your own music to provide gameplay. But instea of a Klax type of game, Beat Hazard plays more like Asteroids. The song you chose doesn’t affect the number of enemies or their power. What it does is increase your firepower. And there isn’t much more to add about it. 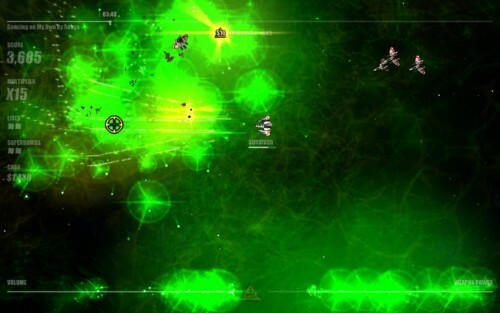 As any Asteroid game, you must avoid being hit by any other object flying around. 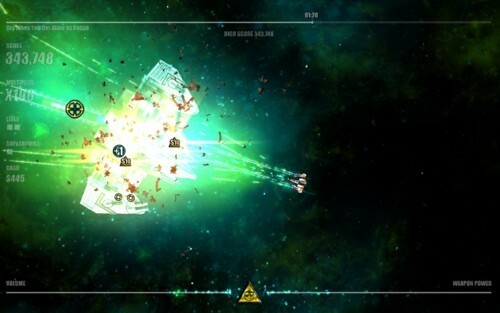 Sure, sure, there are asteroids, other ships and even bosses, but the basic mechanic is the same. There are power ups, which can increase the damage your weapons do, give more bombs capable of clearing part of your screen, increase the bonus you get from each kill and get “cash”, which you can use to buy perks. 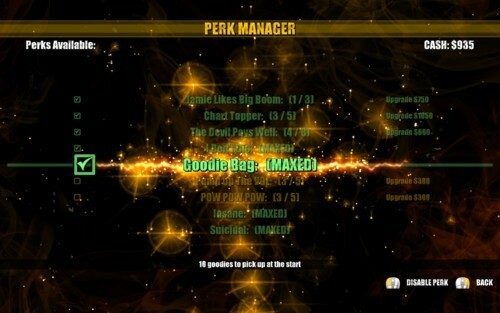 Perks can help you by increasing your bonuses or giving you some bonus right from the start of the game. Why start with nothing when you can start with half weapon power? 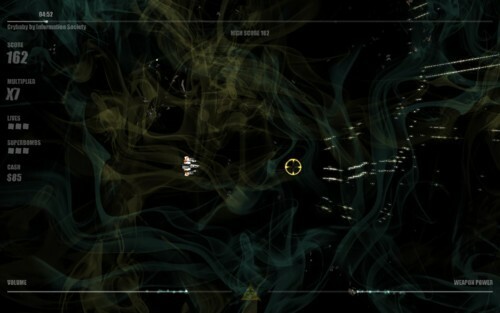 The game surely adds some more depth to the original Asteroids formula, but nothing comes without cost: Because your weapons react with your song — including color, like a modern spectrum analyzer — and the piling up of explosions and debris, your eyes will get tired pretty fast. I couldn’t keep playing for more than 30 minutes in a row without getting teary eyes. Another problem I found was the music selection. First, I couldn’t find any way to load playlists, either from iTunes or from Winamp (iTunes form my OS X partition, Winamp from my Windows partition, reading the songs from the OS X partition). 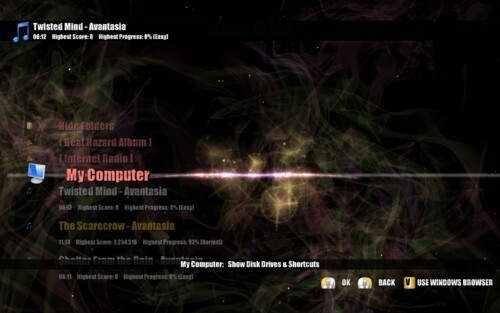 Second, it doesn’t have an easy way to navigate your songs. Sure, when you’re selecting a song, you can select directories as any good filemanager, but once you select a track and play it, the game only sees that folder — if you want to select another directory, you have to start over. Sure, it works if you put all your songs in the same folder, but if you use any application that organizes your songs based on artists, album or anything like that, then you’ll get somewhat pissed. But the problems seem minor. It’s a pretty good casual game to waste some time while trying to learn how to coordenate your two hands to move and shoot around.